Good news! You can absolutely freeze hummus. 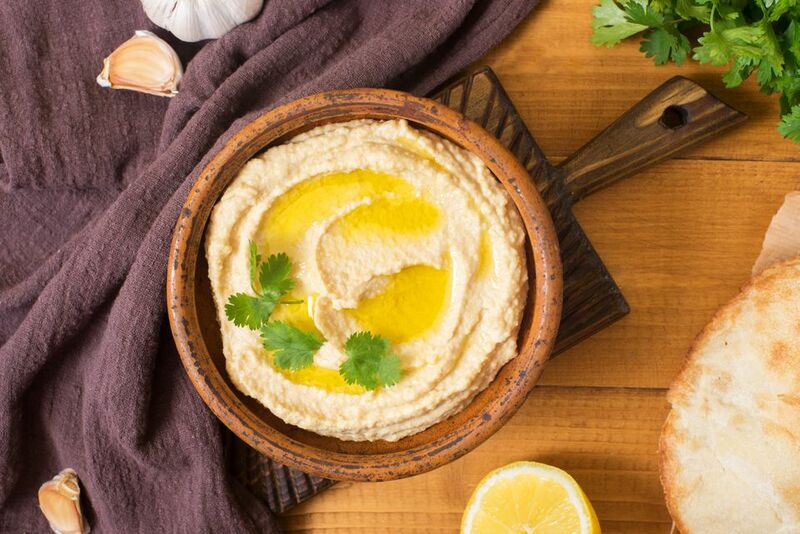 Freezing hummus is as easy as freezing any other foods. You just have to follow a few guidelines to prevent spoilage. Freeze your hummus in an airtight, freezer-safe container and make sure you don't fill it all the way to the top because it will expand as it freezes. Some people prefer to freeze it in many small containers for individual servings and portion control. This works great if you only want enough hummus for a snack or to spread on a sandwich but definitely not the best option if, let's say, a group of friends drops by. When you are ready to eat your frozen hummus, just simply thaw it in the refrigerator the day before you want to use it. When you remove the lid, you may notice that there's some liquid at the top but this is completely normal and just means the hummus has separated a bit. Give it a good stir and it should be ready to eat immediately. If you like your hummus warm, pop it in the microwave for a few seconds, and that will help with the consistency as well. As for whether or not freezing will affect the taste of the hummus, it may, in fact, taste a bit different. But that doesn't mean it will taste bad or spoiled. It also depends on what type of hummus you are making. There are dozens of different flavors of hummus and I have noticed that the traditional chickpea version holds its flavor best when frozen. Note that freezing may make flavors a bit more bland so, if it's a flavor like roasted red pepper hummus, you might consider adding some fresh onions or a little minced garlic to the hummus to resurrect it. The consistency of the hummus should not change too much when you freeze it, either. You may find it's a little thinner than the fresh, but not to the point where it is not edible. Once you do thaw your hummus, it should be eaten within 5-7 days. Frozen hummus can keep in the freezer for at least 6 months, but don't longer than a year.